Todd N. Thompson | Thompson Warner, P.A. Early in Todd’s career, two trial attorneys at the firm where he worked were selected to judgeships. As a result, Todd quickly became immersed in litigation, and today he is an experienced and respected trial attorney, having successfully tried dozens of jury trials, prosecuted and defended arbitrations and bench trials, and handled numerous appeals. 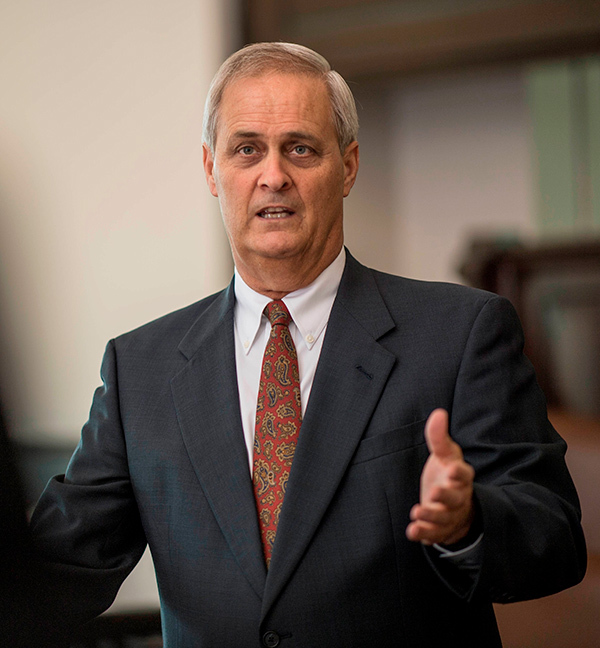 He has been successful in litigating claims pertaining to wrongful death, bad faith, premises liability, real estate broker/agent malpractice, land use and zoning, commercial disputes, casualty losses, vehicle accidents, intellectual property disputes, and a variety of insurance coverage issues. He has also frequently appeared before city commissions, county commissions, and planning commissions. Todd’s litigation clients often return to him for assistance with their other legal issues, and so his office practice has seen significant growth. 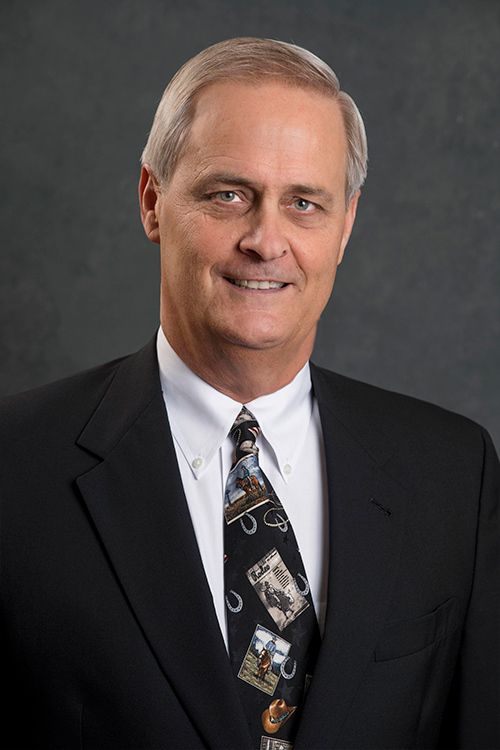 In his office practice he focuses on all facets of real estate law (from acquisition to financing to rezoning to construction to leasing to sale and exchanges), and the representation of manufacturers of heavy machinery and construction equipment, materials handling equipment, and software engineers. Todd has assisted numerous small business clients in establishing or restructuring their businesses, as well as preparing—and enforcing—no-compete agreements and employment contracts. The writing skills that Todd developed while obtaining his journalism degree and working as a journalist before attending law school have been helpful in all aspects of his practice, but of particular import in his appellate practice. Todd blends clarity of expression, legal reasoning, and common sense practicality for the benefit of his clients. He takes special pride in the fact he has been called on to represent a number of fellow attorneys and several judges during his career. 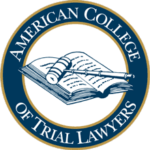 Todd has been selected to membership in the American College of Trial Lawyers. Fellowship in the College is extended by invitation only and only after careful investigation, to those experienced trial lawyers who have mastered the art of advocacy and whose professional careers have been marked by the highest standards of ethical conduct, professionalism, civility and collegiality. Lawyers must have a minimum of fifteen years trial experience before they can be considered for Fellowship. Membership in the College cannot exceed one percent of the total lawyer population of any state or province. In addition, Todd is a member of the Association of Defense Trial Attorneys, which invites only one defense trial attorney to be its prime member per one million in population for each city, town, or municipality across the United States, Canada, and Puerto Rico. Todd is a Fellow of the American Bar Foundation, an honorary organization of lawyers, judges, and legal scholars whose public and private careers have demonstrated outstanding dedication to the welfare of their communities and to the highest principles of the legal profession. He is also a Fellow of the Kansas Bar Foundation, and was elected by the Board of Trustees to serve as President of the Board for the 2016-2017 year. Brief, Kansas Supreme Court, Kudlacik v. Johnny’s Shawnee, Inc. and Barley’s LTD., Case No. 115869-S. Oral argument set for October 26, 2018. Case involves a claim by plaintiff seeking to have Kansas courts create a dram shop liability against alcohol dispensers. The district court granted judgment on the pleadings to our client, Barley’s, and the Kansas Court of Appeals affirmed. Oral argument, Kansas Supreme Court, serving as Examiner, Commission on Judicial Qualifications, In re Trigg, Case No. 118,527. Oral argument on April 6, 2018. Judicial discipline proceeding. Brief and oral argument, Russell, et al. v. Treanor Investments et al. L.L.C., Kansas Court of Appeals, Case No. 17-117973-A. Dispute over restrictive covenants. Obtained summary judgment for our client, Treanor Investments, L.L.C. Brief and oral argument, Kansas Supreme Court, serving as Examiner, Commission on Judicial Qualifications, In re Henderson, Case No. 15-114488-S. Oral argument on September 12, 2016. Judicial discipline proceeding. Oral Argument to Kansas Supreme Court, serving as Examiner, Commission on Judicial Qualifications, In re Henderson, 301 Kan. 412, 343 P.3d 518 (2015). Judicial discipline proceeding resulting in suspension. Brief for appellee Philip Morris International Inc. (co-author) in Smith v. Philip Morris Companies, Inc. (n/k/a Altria Group, Inc.), et al, Kansas Court of Appeals, Case No. 12-108,491-A. Involved issues regarding the Kansas Restraint of Trade Act. District Court granted summary judgment to the firm’s client, and was affirmed by the Court of Appeals. Brief for appellee (co-author) in U.S. Bank v. Estate of Dowty, et al., Kansas Court of Appeals, Case No. 11-105869. Involved issues of real estate title arising from a claimed common law marriage in defense of a mortgage foreclosure action, which claims were rejected by the District Court. Brief for appellant (co-author) and oral argument in Phillips, et al. v. Farm Bureau Mutual Ins. Co., Kansas Court of Appeals, Case No. 10-105,349-A.. Obtained the reversal of a garnishment judgment in excess of $2,500,000 against an insurer resulting from a bad faith failure to settle trial. Brief for appellee (co-author) and oral argument in Blanco-Diaz v. Maus and Farm Bureau Mutual Ins. Co., Case No. 10-103916-A. Involved an alleged bad faith failure to settle claim wherein the District Court granted judgment to the insurer after trial and was affirmed on appeal. Brief for appellee (co-author) in Dool, et al. v. Burke, et al., affirmed by the U.S. Court of Appeals for the Tenth Circuit, Case No. 10-3320. Involved constitutional challenges to the Kansas Supreme Court Nominating Commission, which challenges were rejected by the District Court. Brief for amicus curiae Kansas Association of Defense Counsel (co-author) in Critchfield Physical Therapy v. The Taranto Group, Inc., Kansas Supreme Court, Case No. 09-101949. Involved class action litigation and the criteria for certifying a class. Brief for appellant (co-author) in Intellisports, L.L.C. v. Fitzgerald, et al., Kansas Court of Appeals, Case No. 08-100196-A (2009). Involved misappropriation of trade secrets and the methods for calculating damages. Brief for appellee in Jeanne Huber-Happy, et al. v. Estate of Pauline Rankin, U.S. Court of Appeals for the Tenth Circuit, Case No. 06-3356 (2007). Involved trust and estate issues and the lower court’s award of attorney fees to the appellee. Brief for appellee in Schaefer, et al. v. Jones, et al., Kansas Court of Appeals, Case No. 06-96508-A (2006). Involved alleged real estate and broker malpractice arising from issues related to legal descriptions and seller disclosures, and addressed issues relative to claims for specific performance. Brief for amicus curiae Legislative Coordinating Council (co-author) in Montoy, et al. v. Kansas, et al., Kansas Supreme Court, Case No. 04-92032-S (2006). Involved constitutional issues regarding school financing. Brief and oral argument for appellees in Coleman, et al. v. Logan, et al., Kansas Court of Appeals, Case No. 07-98099-A (2008). Involved premises liability issues arising from a fatal shooting outside a night club. Brief for appellee (co-author) in Fleetwood Folding Trailers, Inc. v. The Coleman Company, Inc., Kansas Court of Appeals, Case No. 05-94950 (2007), 38 Kan. App. 2d 30, 161 P.3d 786 (2007). Involved trademark, trade secrets, and licensing issues. Brief in McIntosh, et al. v. Rhine, Kansas Court of Appeals, Case No. 07-98805-A (2008). Involved allegations of real estate broker and agent malpractice, and parol evidence rule issues. Brief for appellees Ek Real Estate, Inc. and Maurice Schmidt in Schaefer, et al. v. Jones, et al., Kansas Court of Appeals, Case No. 06-96508-A (2006). Involved a claim for specific performance in a real estate transaction. Brief and oral argument for appellee in Jerby, et al v. Truck Insurance Exchange, Kansas Court of Appeals, Case No. 05-94863-A (2005). Involved insurance policy interpretation and coverage relative to workers’ compensation liens and subrogation rights. Brief and oral argument for appellant in Gordon v. Williams, Kansas Court of Appeals, Case No. 05-94899-A (2005). Involved interpretation of statute providing for payment of attorney fees. Brief for appellee (co-author) in Lowder v. Meyer, Kansas Court of Appeals, Case No. 03-91110-A (2003). Involved statute of limitations issues. Brief for appellee (co-author) in Hatke v. Heartland Homecare Services, Inc., Kansas Court of Appeals, Case No. 03-90117-A (2003). Involved Consumer Protection Act and Medicare issues. Brief and oral argument for appellee in Farm Bureau Mutual Insurance Co., Inc. v. Enterprise Leasing Company of Kansas, Kansas Court of Appeals, Case No. 01-87644-A (2002). Involved insurance policy interpretation and coverage relative to rental cars. Brief and oral argument for appellee in Farm Bureau Mutual Insurance Co., Inc. v. Tatum, et al., Kansas Court of Appeals, Case No. 01-86484-A (2001). Involved insurance policy interpretation and coverage issues relative to an automobile dealership. Brief and oral argument for appellee in Wieland v. Dunn, Kansas Court of Appeals, Case No. 00-86381-A (2001). Involved procedural and evidentiary issues. Brief and oral argument for appellee in Elliott v. Farm Bureau Mutual Insurance Co., Inc., Kansas Court of Appeals, Case No. 98-81001-A, 26 Kan. App. 2d 790, 995 P.2d 885 (1999). Involved class action over insurance policy interpretation and coverage issues relative to PIP coverage. Brief for appellee in Weroha v. Craft, et al., Kansas Court of Appeals, Case No. 96-77431-A, 24 Kan. App. 2d 693, 951 P.2d 1308 (1997). Involved premises liability claims arising from a criminal attack. Brief and oral argument for appellee in Angell v. Hocking, Kansas Court of Appeals, Case No. 96-76083-A (1996). Involved statute of limitations issues based on defective service of process. Brief and oral argument for appellee in Hildebrandt v. Schwartz, Kansas Court of Appeals, Case No. 95-74073-A (1995). Involved adverse possession and boundary line issues. Brief and oral argument for appellee in Hatfield v. Taylor, et al., Kansas Court of Appeals, Case No. 92-68981-A (1993). Involved fraud and consumer protection issues in the sale of real estate. Brief and oral argument for appellee in Farm Bureau Mutual Insurance Co., Inc. v. Herken, et al., Kansas Court of Appeals, Case No. 93-69432-A (1993). Involved insurance coverage issues in a wrongful death action. Brief and oral argument for appellee in Ferrell v. Stephens Real Estate, Inc., et al., Kansas Court of Appeals, Case No. 92-69053-A (1993). Involved fraud and consumer protection issues in the sale of real estate. Brief and oral argument for appellee in Brown v. City of Baldwin City, Kansas, Kansas Court of Appeals, Case No. 91-66474-A (1992). Involved eminent domain, nuisance and land use issues. Brief and oral argument for appellant in Allen Realty, Inc. v. City of Lawrence, et al., Kansas Court of Appeals, Case No. 89-63596, 14 Kan. App. 2d 361, 790 P.2d 948 (1989). Involved historic preservation and land use issues, and was settled while on appeal. Brief and oral argument for appellant in Lawrence Preservation Alliance, Inc. v. Allen Realty, Inc., et al., Kansas Court of Appeals, Case Nos. 91-65622 and 91-65623, 16 Kan. App. 2d 93, 819 P.2d 138 (1991). Involved historic preservation and land use issues, and resulted in reversal. Brief and oral argument for appellee in People’s National Bank & Trust v. Excel Corporation, Case No. 84-56844, reported at 236 Kan. 687, 695 P.2d 444 (1985). Involved interpretation of the Uniform Commercial Code and the perfection and waiver of security interests in agricultural products. Brief and oral argument for appellee in Malott v. Mastercraft Corporation, Kansas Court of Appeals, Case No. 84-56764 (1985). Involved interpretation and application of zoning and subdivision ordinances, and questions of mootness. Brief (co-author) for amicus curiae Kansas Association of Defense Counsel in Brady v. McClure, et al., Kansas Supreme Court, Case No. 84-57348 (1985). Involved questions of passenger liability and comparative negligence. Brief and oral argument for appellee in Bolen v. Harvey, Kansas Court of Appeals, Case No. 85-58305 (1985). Involved issues of liability insurance coverage, and intentional acts. Brief for appellee in Brown v. Flanagan and Shoemann, Kansas Court of Appeals, Case No. 83-56230 (1984). Involved issues of sufficiency of evidence, comparative negligence, and the preclusion of evidence of insurance. Brief for appellee in Ross v. Merseman, Kansas Court of Appeals, Case No. 83-55445 (1983). Involved issues of service of process and summary judgment. Brief for appellee in Dever v. Kioso, Kansas Court of Appeals, Case No. 82-54035 (1982). Involved issues of service of process and summary judgment.